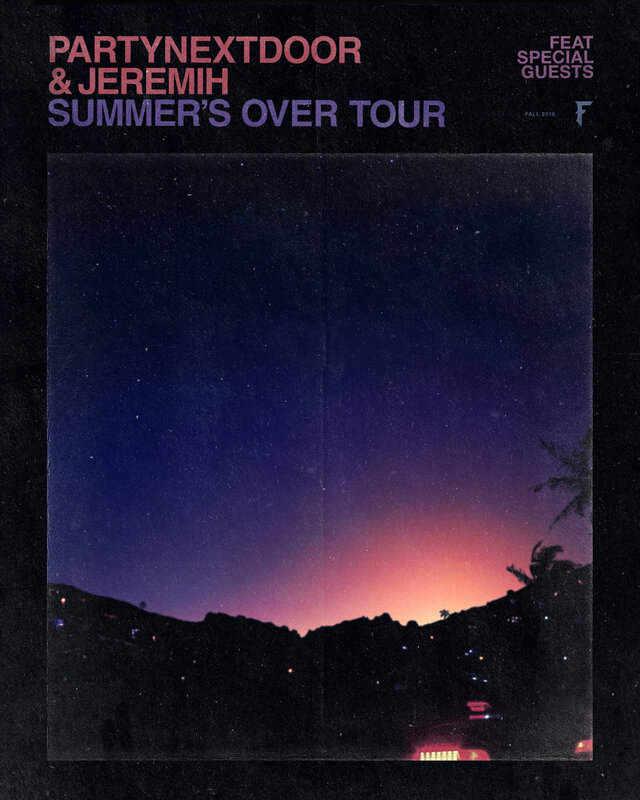 PARTYNEXTDOOR & Jeremih present the Summer's Over Tour. 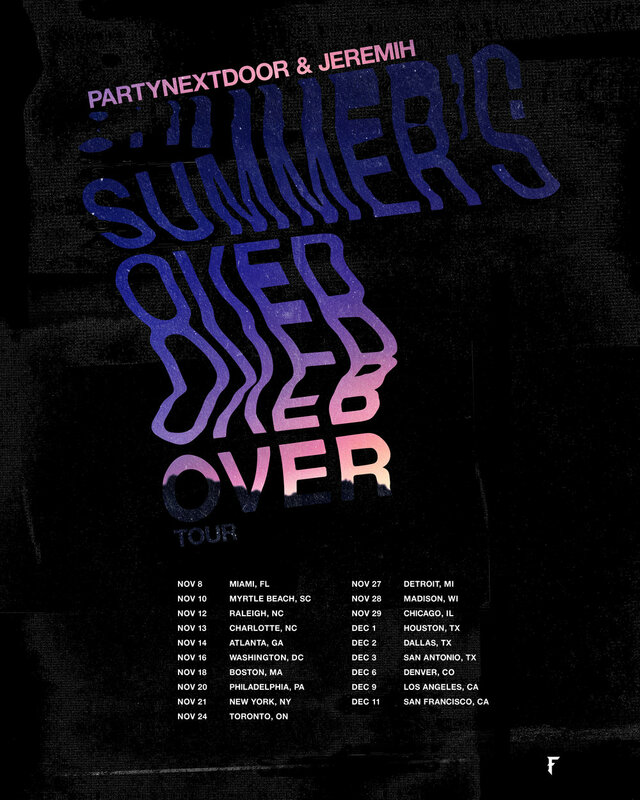 Official dates poster designed by Elijah Justice. Tickets/Meet & Greet packages are now available here.